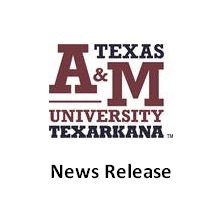 TEXARKANA, Texas – Texas A&M University-Texarkana and the Personal Advancement Through Help (PATH) program are sponsoring the 2019 LEAD BIG Winter Summit on February 9 from 9:00 a.m. – 2:00 p.m. The event will take place in TAMUT’s Eagle Hall inside the University Center building. The summit will feature several local business and community leaders and is free and open to the public. LEAD BIG is a personal and professional development opportunity where attendees learn from the experience and wisdom of great leaders. The event also serves as a networking opportunity, bringing together leaders from a cross-section of industries and organizations. Topics will include Partnering with Education, Working with Diverse Populations and Shaking Things Up (in your market). For more information or to register, visit www.derekjmurphy.com. TEXARKANA, Texas – Texas A&M University-Texarkana and the Program for Learning And Community Engagement (PLACE) are hosting a lecture titled “Behind and Beyond The Bars: Examining The Intersections Of Gender, Race, And Mass Imprisonment” by Dr. Johnna Christian of Rutgers University-Newark. The event will take place Tuesday, February 5th at 7:00 p.m. in Eagle Hall. The lecture is free and open to the public.